Straight out of Huntington Park, CA we have iconic powerhouse rockers The Toxic Kids. Drawing on a wide range of influences such as Shawn Mendes (Singer/Songwriter), Paul Rodriguez (Professional Skateboarder), and Drake (Rapper/Meme Content Provider), this group always shows up ready to rock. One of the largest rock bands of all time with 9 full-time members, the listener is always in store for a memorable performance. We belong to the broken. Every cut needs a Bandage. Do you want to be healed? Do you want to be fixed? Strength in numbers, The Bandages are a driven group of young musicians with the mission to heal through music. Drawn together by adversity and rejection, these outcasts formed their tribe and discovered that nobody is truly alone. When you go to a Bandages show, your wounds turn to scars, your scars disappear and you’ll never fall apart. Bandages stick together. Joshua Ochoa found a cold cookie on the corner of Wilshire & Vermont. He bought 8oz. of milk and tried to eat the cookie. Mhyiela came and slapped the cookie out of Joshua’s hand and then Karen came and stepped on it. Sad cookie. Hannah appeared and used krazy glue to repair the cold, sad cookie. Cayla decided a funeral should be held for the cookie. Elisha sent out the invitations for the funeral to the rest of the members. Johanna and Caitlyn presided over the ceremony and said a few words for the poor cookie. United by their grief and in an effort to honor the life of cold, sad cookie, they consumed the cookies remains which imbued them with music gifts and drove them to start Köld Kookie$, the sweetest band on earth. RIP cold cookie. HAVJAC hijacked a fusion of confusion. Confused teens ate too many beans.Locking looks in line for the loo. Confused teens had no clue, but formed a crew to sing the blues and rock nice shoes. Once upon a time, there was a drummer named Annalea Serna who needed more instruments in her band. 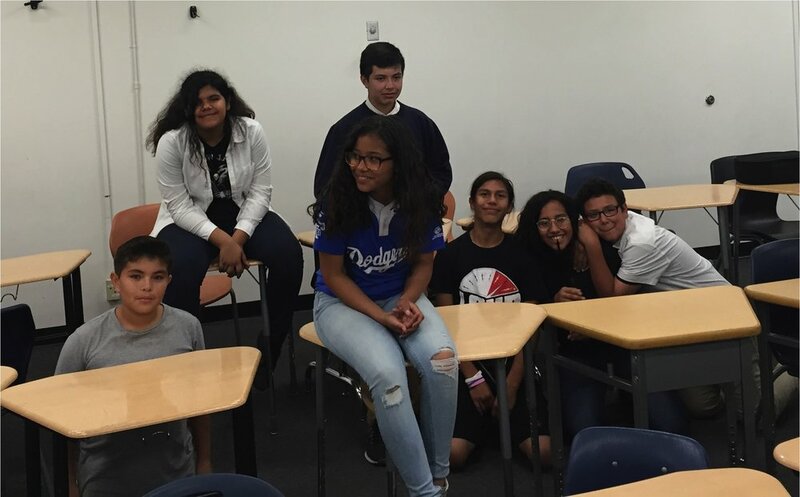 Eventually, she found other players; they met at a park where she was “going off” on the drums by herself, and Daniel Juarez, Abner “Alex” Ixcoy, Joseph De Leon, Brittany Juarez, Ashley Juarez, and Deborah Gomez all became friends. The goal? To create many songs, and to become famous. The band set their sights high -- Hawaii, the Staples Center, New York City, the Coliseum -- but kept their name down-to-earth. 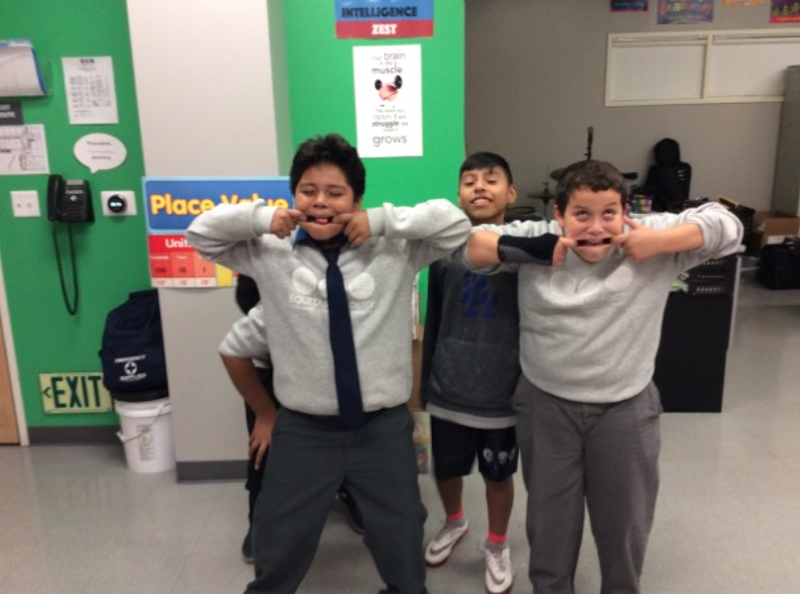 They picked “Arroz Con Pollo” because they were all hungry when they picked it! 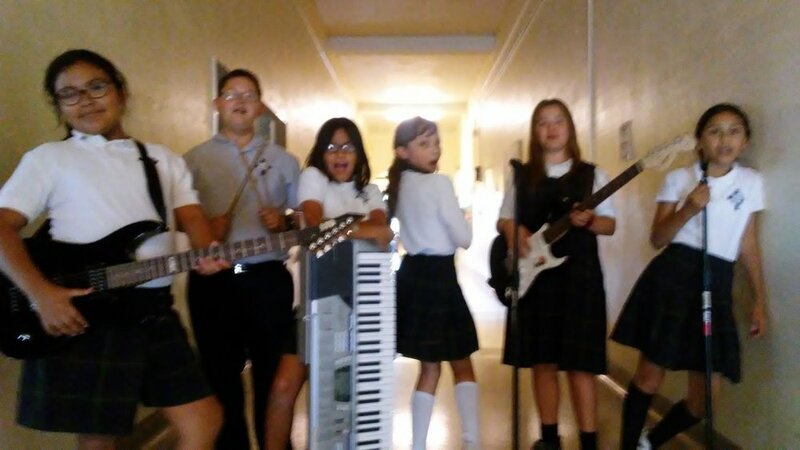 Six kids met at school and decided to start a band. They found each other in class, and knew it was destiny to be together. Little did they know, that there was soon a band competition to where they could win a million dollars. Being kids, they did not think they were able to win, but long and behold, they did! The million dollars gave them a trip to a fancy hotel resort, where they played for the hotel guests who were very impressed by their talent. "We love The 'Bad' Kids!" Chanted everyone! Six completely opposite kids were trapped in dungeon with rock instruments being their only tools of survival. 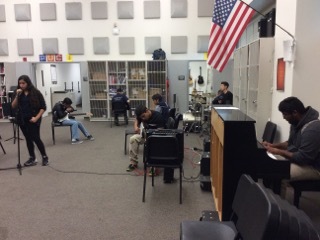 They decided to pick the instruments up, and realized how magical it was to play them and put songs together. By working as a team, they were able to escape the dungeon using their thundering music to help them. They decided to call themselves, "The Thunder Riders." THE MANY LAYERS OF SHREK! NASA needed three top astronauts for an incredibly important mission to space- Nathaniel, Abigail and Dalhai (the first two women in space, who are also best friends). On their way they picked up Alan Luna, who lives on the moon. While they were on the moon, Alan showed them a talking palm tree that scared the astronauts. The astronauts approached the palm tree, and it asked to be carved into a guitar. The remaining wood turned into Elizabeth. They then decided to form a band called beyond the coda, to perform otherworldly music! The Rebels is a band from Las Vegas, they’ve made music for 6 months, and was discovered by the mighty Loud Program. “The band sounds awesome, it’s Rocking Pop” Says one of the founders, singer Julissa the Star. Her bandmate, the keyboard player Lightning Moon adds “our music is all about the rhythm, and to get’s in your mind” The band practices at Huntington Park, and get’s their inspiration from the YouTube phenomenon Jake and Logan Paul. Their one and only mission is to get famous! Anyone looking for a really crazy and mind-blowing band should check out the Rebels! The Crew is from LA and we’re here to rock and blast your eardrums with our amazing music! 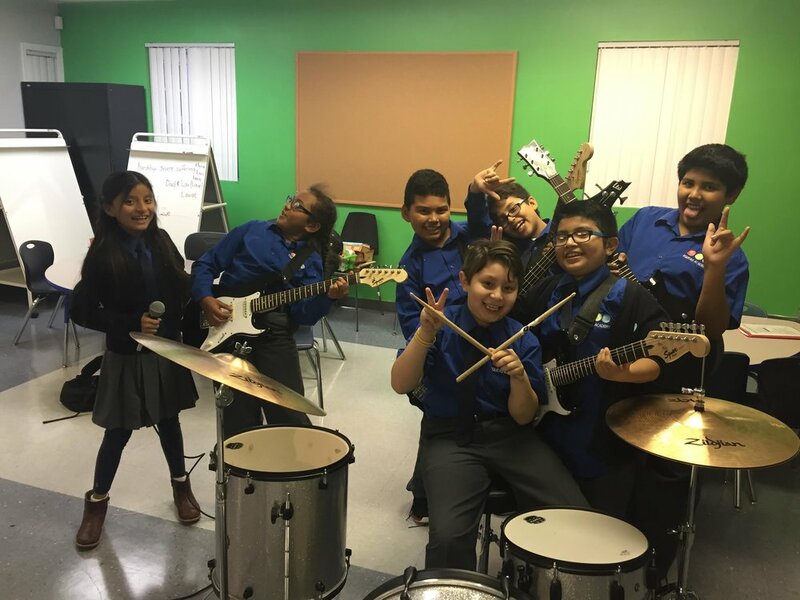 The Crew got together for the first time at Equitas Academy, and started shredding faces with their awesome riffs after school. Our ultimate weapon is our music, which we forged with the powers of the flames. Just because we’re kids doesn’t mean we can’t rock! The Lil’ Savages met in the Mall food court when they all sat at the same table. Genesis, the drummer, was tapping on empty cups with her fingers; Max, the singer, was singing a song to himself; Gloria, the bass player, was strumming her hair tie; Leslie the keyboard player was tapping her fingers on the table, and Ivan was sitting at his table practicing new cords on his guitar. Lastly, Victoria was strumming the Ramen noodles on her plate. 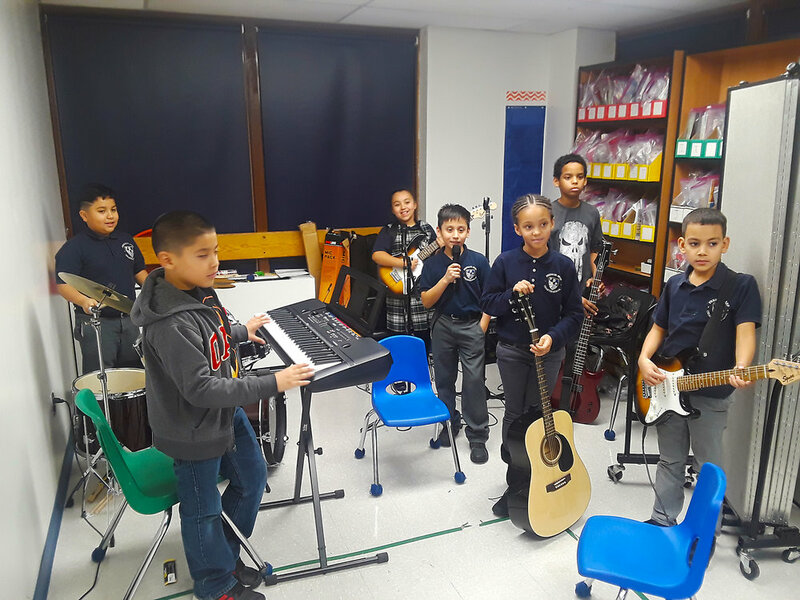 Victoria noticed they were all talented and said, “Aye, you guys like to play instruments, we should form a band!” Gloria, Leslie, Max, Genesis and Ivan were kind of skeptical because they never saw her before, but they decided to start jamming together as a band. Now they meet up at the mall each Sunday, and have been rocking ever since. Patriotic Death is a band that was born to raise hell. Six men, one mission, to resurrect rock n roll. Combining the tones of The Doors, Led Zeppelin, and The Rolling Stones they are a sweet scream of Patriotism that lights up the sky like the 4th of July. Bound by a butter eating contest, seven kids heard the hypnotizing sound of rock and roll. What they found wasn't a band of kids but a band of butter sticks, absolutely shredding. They made a pact, to rock harder than the butter stick band. So they ate them and took their instruments and found their hidden talents of musical wizardry. Now, on the run for eating the butter band, they spend their days as fugitives, rocking from show to show across the universe. In the hard times they say "life can only get butter". We were born a pack of wild wolves. However, one night under a full moon, we ran into the devil and made a deal with him that if we brought him a $5.99 Pizza from Domino’s by midnight, he would turn us into humans and bestow upon us his musical abilities. After some strange looks at the Domino’s seeing a pack of wolves buying a pizza, we returned to him and he turned us into humans as he had promised. Since then, we have been performing together as a band and rocking out to our awesome music! They woke up in a hospital, missing their organs. They needed money for new ones. Therefore, they banded together in order to make money for their new livers. They robbed a music store and couldn’t sell the instruments, so they were left with no choice but to start a band. They didn’t really know each other, so they named themselves The Acquaintances. Seven high schoolers go to a mountain and notice a meteor making a rift and it crashes in front of the seven schoolers. The ball of rock form in to a five foot five inch boy with a killer guitar solo. At the end of his guitar solo, he asked the seven high schoolers join him in a quest to fight the God of musics and earned the title of God of discordance. Together they began knocking people’s lights out with the music they’re playing. Coming from a recently discovered void is Your Worst Nightmare. Violet plays bass after escaping from a television. Blue Baby is the wildest keyboardist in the universe. Lexi Drive came out of a ouija board to sing for demons. On drums we have Mr. Squanch, ‘nuff said. The guitar duo of Mili Vanili and Dante Disastro are here to shred.